An In-Service Support concept has been developed and qualified in principle during the development phase of the German/Dutch BOXER Programme. Interactive Electronic Technical Documentation (IETD; Operator and Maintainer documentation including illustrated Parts List (IPL)) has been developed in accordance with AECMA 1000D and 2000M Specifications. 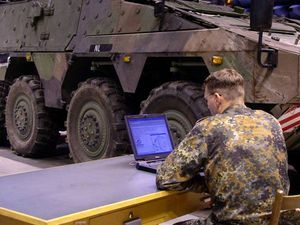 As a result of utilising Integrated Logistic Support methodology, the Logistic Support System for BOXER is integrated into a supportable system design, tailored so far for the Dutch and German Armies.